What do women want? The conventional biological wisdom is that men select mates for fertility, while women select for status…. You want off-the-charts status? 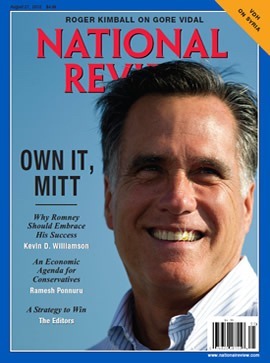 Check out the curriculum vitae of one Willard M. Romney: $200 million in the bank (and a hell of a lot more if he didn’t give so much away), apex alpha executive, CEO, chairman of the board, governor, bishop, boss of everything he’s ever touched. Son of the same, father of more. It is a curious scientific fact … that high-status animals tend to have more male offspring than female offspring…. Have a gander at that Romney family picture: five sons, zero daughters. 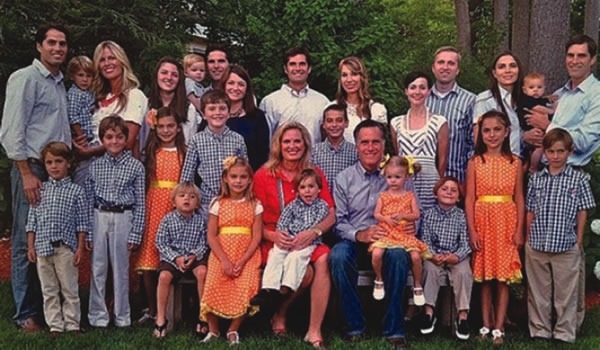 Romney has 18 grandchildren, and they exceed a 2:1 ratio of grandsons to granddaughters (13:5). When they go to church at their summer-vacation home, the Romney clan makes up a third of the congregation. He is basically a tribal chieftain. From an evolutionary point of view, Mitt Romney should get 100 percent of the female vote. All of it. He should get Michelle Obama’s vote. You can insert your own Mormon polygamy joke here, but the ladies do tend to flock to successful executives and entrepreneurs…. Note the presumption that anyone with fallopian tubes or even a cardigan is unfit to serve as US President. Disclosure: I own a cardigan and sometimes wear it. To me it seems that most of the evolutionary psychology that I have read is some of the most sexist garbage ever put off as science.